Office bearers of 31 Ex-servicemen association of India met in Delhi on 6 June to explore possibility of unity. The meeting was successful and united front of Ex-servicemen was formed on 6 June 15. 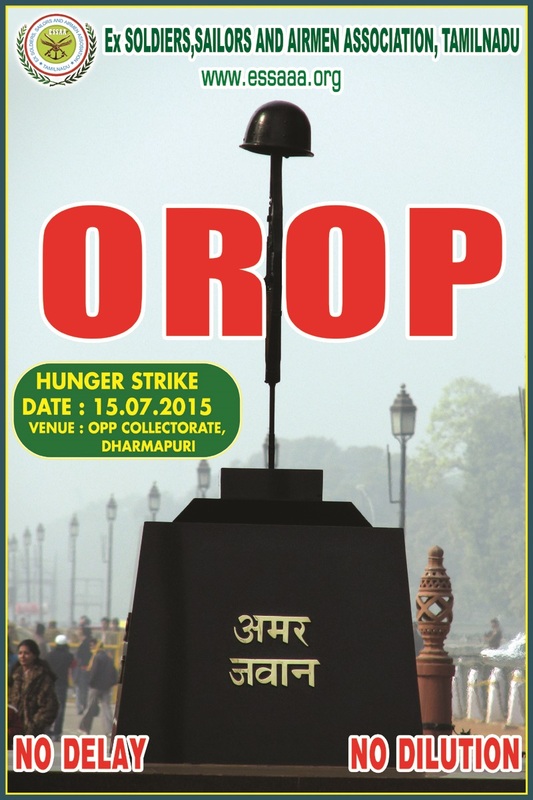 United Front of Ex-servicemen vowed to fight for OROP till issuance of notification of OROP. 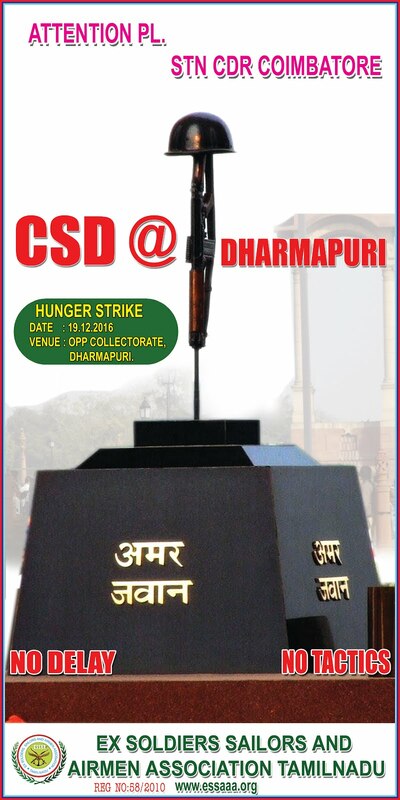 It was decided that a MAHA SANGRAM RALLY will be held as planned on Jantar Mantar on 14 June 2015 SUNDAY and RELAY HUNGER STRIKE will start at Jantar Mantar from 15 June till Government issues notification for OROP. Office bearers of the organizations met again on 10 June to coordinate all actions required for the planned agitation. Gen sec announced that in this meeting all are equal and will have equal say and responsibility for this agitation. It was decided that the new organization will be called UNITED FRONT OF EX-SERVICEMEN. All agreed that rally and hunger strike will go on as planned. Following teams were made to ensure smooth conduct of rally and hunger strike. Financial Commitment it was decided that pool of funds may be made to meet the expenditure of rally and hunger strike. IESM promised that the organization is spending funds on buses for their members to attend the rally on 14 June 15. Apart from this expenditure IESL will pool Rs 1 Lac for the expenditure. IESM committed that balance funds would be contributed by them. Tent management and security at Jantar Mantar.